There was a record low number of traffic fatalities in Copenhagen in 2009. Five people lost their lives, compared to 16 in 2008. Right off the bat I'll say that apart from being wonderful news, such stats are tricky. 2006 was the best year ever for fewest traffic fatalities in Denmark but there was nothing special about that year. These stats rise and fall seemingly without logic. There are, however, many good things that can be done. The current municipal government, including the Mayor in charge of the traffic department, Bo Asmus Kjeldgaard, has bounced around the idea about lowering the speed limit to 40 km/h in Copenhagen. But hey... let's just concentrate on the 40 km/h zone for now. It's a good start. BUT! It turns out that the police are standing in the way of this progress. Bo Asmus (on the left) has expressed in the press here in Denmark that the Copenhagen Police (police chief Johan Reimann on the right) are playing the antagonist. Bo Asmus and the Lord Mayor Frank Jensen recently met with the police with the 40 km/h zone proposal and left with a 'no' from the coppers. "I think that the police are acting like a political unit. It should be the City's decision", said Bo Asmus Kjeldgaard. Police Chief Johan Reimann doesn't think there are legal grounds for a 40 km/h zone in the entire city. Perhaps he should get out more. There are enough cities around Europe to use as inspiration. Not only for the safety statistics but also for the legal aspect. 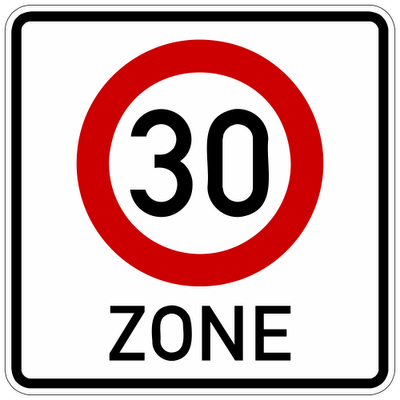 Oh... and did I mention 30 km/h zones? Here's some previous articles about them. This one is particularly informative.